The Outdoor Connection has been the premiere sling and swivel manufacturer for over 25 years. We are committed to continuing the tradition of quality by creating and providing innovative products for hunters and sport shooters throughout the world. Value, Utility, Quality, Selection, and Durability are the hallmarks of every product manufactured by The Outdoor Connection. Features include: 1 1/4″ webbing, 56″ max. 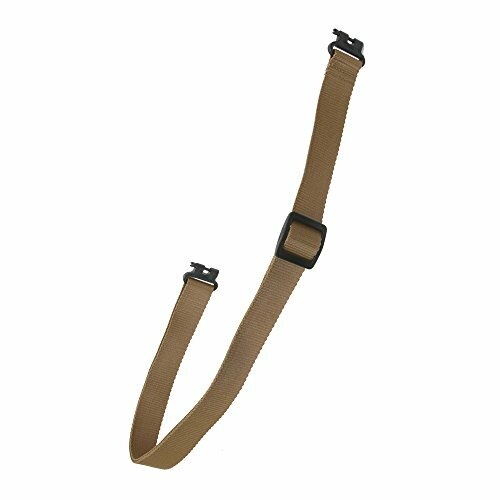 webbing length, Excellent for all rifles or shotguns, Not affected by inclement weather, Tri-Glide allows quick adjustment of sling and Mil-Spec type webbing.